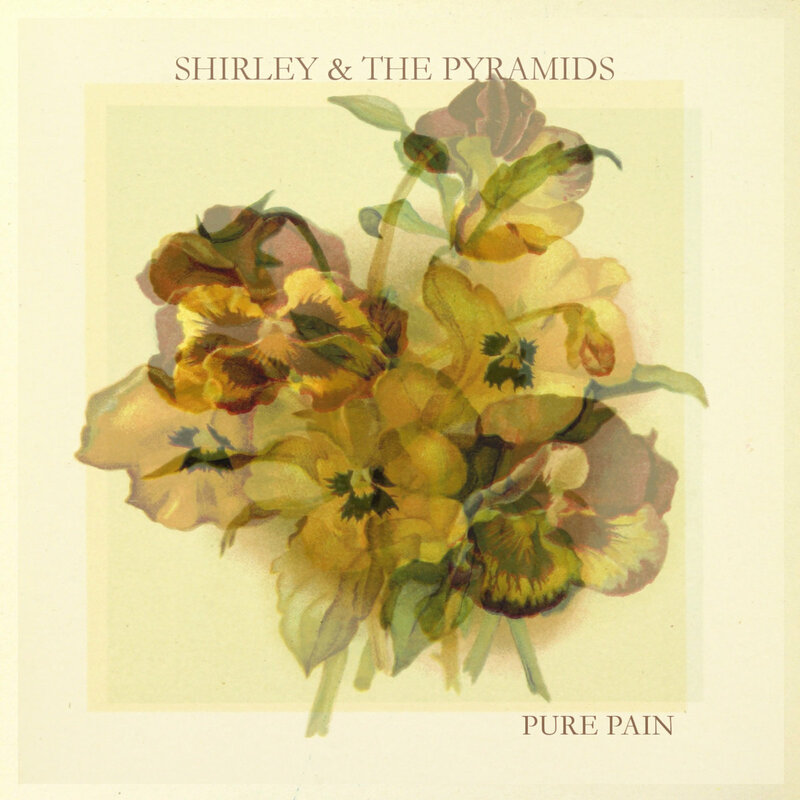 There is an unnamed menace that stalks Shirley & The Pyramids’ Pure Pain. It’s tucked into every screech and wobble. Whether these sounds are delivered with a soft-psych touch or in a harsh, grating post-rock style, an uncertainty, a mystery, lingers which is eerie and keeps your attention. These two sonic styles of Pure Pain are vividly different and yet it doesn’t feel like they have been forced together like the wrong pieces of a jigsaw puzzle. They fit together, just the puzzle picture is a kaleidoscopic image. “One Life” is the most ominous sounding track from Pure Pain. It opens with a fiercely pounded drum beat which then gets enveloped by a crushing wave of fuzz. Aron Zacharias sings, his words inaudible, flatly as if he’s possessed or frozen in fear. On the next track, a whining guitar acts like the piercing light of “Western Star” and Zacharias’ voice is once again shrouded by distortion. On the second half of Pure Pain, Shirley & The Pyramids ascend into lighter drone and popscapes. “More Than The Sun” is an upbeat sounding psych-rock track as is the album closer “Pyramodal Soul.” The distortion of “Highway” isn’t as heavy as what’s at the beginning of the album and it still acts like the exhausts fumes of the vehicle moving along the roadway. On “Be Free (Slow),” Shirley & The Pyramids trudge through viscid waves of rock sounds by holding onto a high-pitched guitar melody. It’s a reminder that holding onto some bright can help you through the bad stuff and the overwhelming terror thinking about the future can cause.